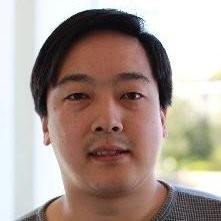 Charlie Lee is the creator of Litecoin, a fork of Bitcoin. Previously, he was the third employee at Coinbase, where he was Director of Engineering, and before that, he was a software engineer at Google. I was adamantly against the DAO hard fork for this moral hazard reason [of having previously hard forked to resolve a hack]. Ethereum is no longer unstoppable code as advertised on their website. How much in $/% is enough to do a [hard fork]? And who gets to decide? No longer uncensorable payments. BTC is digital gold. LTC is digital silver. ETH is digital oil controlled by OPEC. ETC is digital oil without OPEC. Compare Charlie Lee's Ethereum reviews with other coins. One of the few coins I'm excited about, with an innovative solution to decentralized governance. Decred is basically Dash done right. ðŸ˜‚ Consensus is more decentralized than Dash and is enforced. How did [Cardano] become a $10B coin when it's only 3 months old and the only major exchanges trading it is Bittrex and Binance and without even any fiat trading pairs? Either the market is crazy or Cardano will end world hunger. Compare Charlie Lee's Ethereum reviews with other expert reviews of Ethereum.